From 2017 to 2020, the greater Reykjavík municipal waste company SORPA bs. 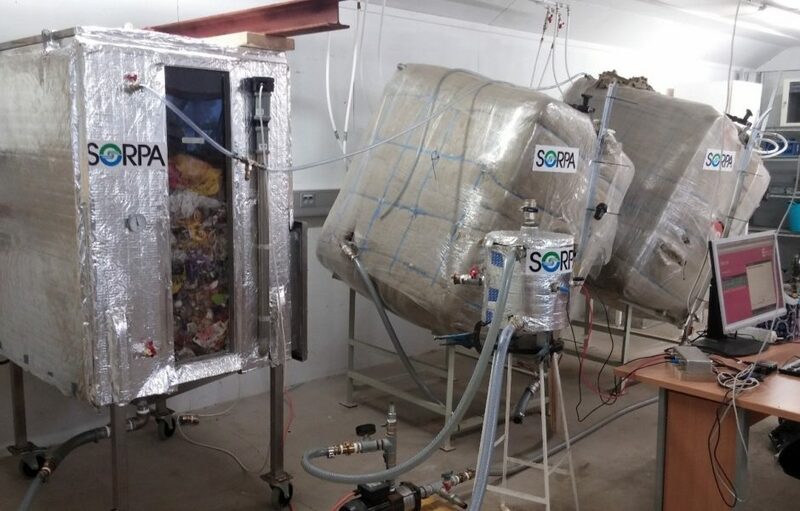 is sponsoring research into the processing of waste at the Álfsnes waste management site, in partnership with the environmental engineering company ReSource International ehf. (RSI). Currently, mixed household waste is landfilled, but there is a moratorium on landfill organic waste due to come into force in 2020. Thus, a biogas and compost plant is being built to receive 20.000 tons of organic waste annually, along with various means of removing contaminants such as plastic. This will also allow for better utilization of waste streams, with increased biogas production, a new generation of compost production, production of other useful organic compounds such as biodiesel or fertilizer and a relatively pure inorganic fraction with many possibilities for recycling or useful diversion. In this program, two MSc students will work each year on two research streams. The first stream will examine biogas production optimization techniques for the plant through pretreatment of organic waste and design of recirculation systems using Iceland‘s unique access to hot water resources. This research stream will also involve the building and operation of the semi-scale model of the plant, along with participating in the design and construction of backup digesters to facilitate risk management. The second stream of work will focus on the processing of non-organic waste streams that are separated from organic and household waste streams, comprising largely of mixed plastics. Currently, this waste stream is exported for incineration at considerable expense, but there are possibilities to use it more productively, for instance, to improve road construction materials and to create various kinds of synthetic fuel.